I have another fabulous giveaway for you this week ~ to be honest, I really wish I could win this one myself! Koret Handbags has been in business for over 80 years…in fact, I was fascinated to learn that they designed bags specifically for Grace Kelly & Jacqueline Kennedy! More recently, they have been featured in countless fashion magazines (where I first discovered them) and seen on Gossip Girl. Their new fall line caught my attention because of the beautiful colors & textures, plus they look so much more expensive than they are. 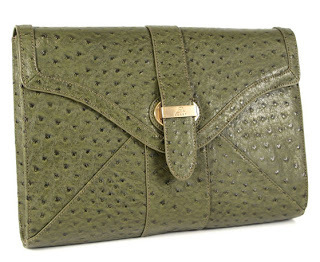 Koret Handbags has graciously offered to giveaway this gorgeous Pure Ostrich oversized clutch, which also doubles as an iPad case & just happens to be the perfect accent color for your fall wardrobe! Be sure to check out their other handbags too – I’ve got my eye on these snakeskin styles. Congratulations – I will be emailing you soon to get your information & connect you with Koret so they can ship you out your new bag! I've followed both on Twitter. Thanks for doing the giveaway! Like PPF and Koret on FB! I "like" PPF and Koret Handbags on Facebook. Awesome! The texture and colour are amazing on this clutch. Thank you and thanks to Koret Handbags. Good luck to all. 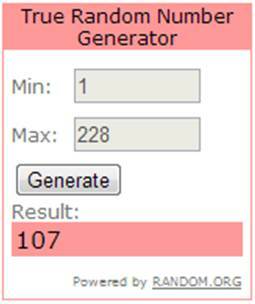 Wow, another giveaway! How exciting! I don't currently own a clutch, but I might find it useful once I own one. I already follow you on Facebook and BlogLovin, and I 'liked' Koret on Facebook. I hope I win. It is gorgeous. I liked both on facebook. Great giveaway! I love this clutch! I follow PPF on Twitter, and just followed Koret Handbags on same. I follow you on Facebook, Twitter and Bloglovin'. I follow Koret Handbags on Facebook and Twitter. What a great giveaway! This clutch would be a fantastic addition to any ensemble. Following both PPF and Koret on Facebook. Seeing that I just got an iPad and am desperately in need of a chic way to carry it- this bag is perfect for me. Loving the green color as well. Follow you on all platforms and also follow Koret on Twitter! Love this clutch!! It'd go perfectly with so many fall outfits! I follow you on fb, twitter & bloglovin! And now Koret Handbags on twitter! I follow PPF on twitter and Koret Handbags on facebook. Followed and liked on Facebook and twitter! Gorgeous clutch, it would go so well with my fall wardrobe! I follow you on Facebook and Twitter, I hope I win. I really need a new clutch but I don't have the budget for one.! Hope to get an email from you soon. Followed both on Twitter. Love this bag!! Love Love Love this clutch!! I would love to have this bag. I follow PPF & Koret on Facebook!! Also liked Koret Handbags. Such nice stuff! How pretty for the fall! I follow you and Koret on Twitter. I love, love, love this bag! I hope I win; ashley.k.shaw@gmail.com. I followed you on FB and Koret on FB too! I follow PPF on twitter and bloglovin'. And I liked Koret handbags on twitter. I already followed you on twitter, but now I follow you and Koret on facebook, as well! Just got an iPad and have been looking for a chic case! Great giveaway, thanks! Gorgeous bag! I follow PPF with Bloglovin and liked Koret on FB. I LOVE your blog and this clutch soo much! Too cute. I follow you both on FB. I follow on BlogLovin and like Koret on FB. Gorgeous! Now, I need to go drool on the website! I liked them on FB and follow you on FB as well! Love your blog and I'm following. Liked Koret on FB. Love the 'snap it up satchel' in black! I follow PPF on Bloglovin and I follow Koret Handbags on Twitter! Followed them both on Twitter! I'm following on Twitter. Love the bag! Beautiful bag. The color is perfect for fall. Would love to win it. so pretty!! I love these bags. 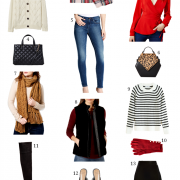 I follow PPF on Bloglovin' and liked Koret on Facebook! Love it! Gorgeous handbags! I'm following you and them! 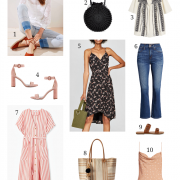 Liked you and Koret on FB and follow you on Bloglovin! I already follow you on BlogLovin' and on Facebook! 🙂 I would LOVE to win this! Thanks for the chance to win! i follow you on twitter and bloglovin and i liked them on facebook! Following both on Twitter. GREAT giveaway! Expecting an iPad in the next day or two so this would be perfect timing to win this gorgeous bag. Followed both on Twitter and my e-mail is alyssa@runwaychef.com. That is so cool that they've designed bags for 2 of the most stylish women ever! i liked them on facebook and follow you. i love the color! I like you and them on Facebook! My email is rlnelson710@hotmail.com. Thanks! Followed on bloglovin and following via e-mail. Thanks for the chance. I follow you on bloglovin, follow Koret handbags on twitter with @justpeachyphoto. I have the PERFECT outfit to go with this! This is a great fall clutch. Followed via twitter and facebook! Love this, crossing fingers Im lucky! Following you both on twitter: Misscossey as well as Facebook : classy little things. I'm obsessed with their bags! This is seriously the best giveaway! Such a versatile piece. 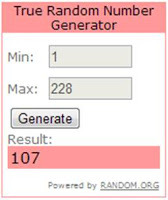 Would love to be the lucky winner… An early birthday gift!! I follow PPF and Koret on Facebook. This clutch is so cute! I've like everyone on FB. Fingers crossed! Followed on Twitter and liked on Facebook! Email is cheekylina27@gmail.com. Both are LIKED on FB!! Thank you so much for offering such a lovely and generous giveaway! I have liked both PPF and Koret on Facebook. This is absolutely gorgeous. Thank you for the awesome giveaway!! love this clutch! liked both on FB. Liked both on Facebook and followed on Twitter!! I follow you on FB and twitter. I have been admiring clutches these past couple months… This give-away might just help me decide on where to start. J'adore this bag! It's beautiful! What a wonderful giveaway! Koret handbags are just beautiful! I already like (aka, Love!!) PPF on Facebook, and now I like Koret too! I love this bag! Liked on Facebook and Bloglovin. Liked both on FB, using my blog page: Head in the Game, Heart in the Sand. I already follow PPF on twitter and I just followed Koret on twitter. I follow PPF on Twitter and Facebook, and I liked Koret on Facebook. Like both on FB. Here's hoping! I'm a clutch addict! This is gorgeous!! I followed both on twitter. Love your giveaways! And this clutch! I would LOVE this clutch! I did every step too! Beautiful clutch. Liked both PPF and Koret on Facebook. Fabulous bag! Both are liked on FB! Love it! Following on fb, avidly follow you on fb and twitter! Thanks for the giveaway! I follow you on FB, Twitter, and Bloglovin and now follow Koret on Twitter. The color of this clutch is pure perfection! I definitely follow you and would LOVE to win this beauty!! Liked both on FB! Thanks for the giveaway. 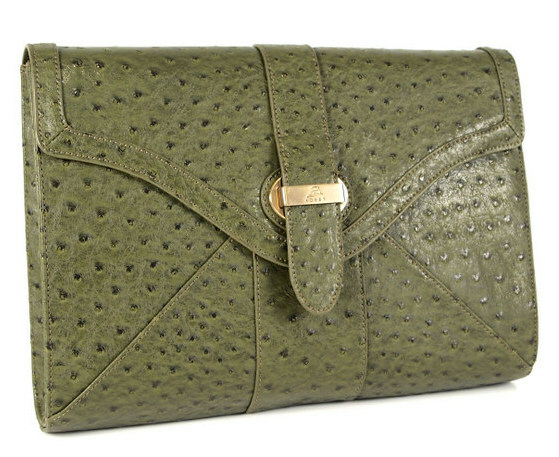 I follow you on all 3 & I liked Koret on fb & followed them on twitter:) I am in love with this clutch!! It's absolutely beautiful! Following both on twitter. I would love to win this bag – it's gorgeous! I follow PPF on bloglovin and I liked Koret on fb. Thanks!! I follow you on all of those forums and am following korum on twitter. GREAT bag – thanks for the opportunity! I've liked both on Facebook. Gorgeous bag! I don't usually enter giveaways but this is too pretty to miss! Been your follower for a while through Bloglovin' and followed Koret on Twitter! Liked both on Facebook. Would love to win! I follow you on bloglovin' and I'm following Koret on facebook! Thanks for the great giveaway! The clutch is GORGEOUS. Following PPF on BlogLovin and both on Twitter! following you on bloglovin and liked koret on FB! love it! Follow you on Bloglovin, liked them on fb, and leaving a comment, heres my email mollyk84@gmail.com. Thanks! I like PPF and Koret Handbags on facebook! Love this giveaway! Love the bag !!!! I liked koret bags & ppf on facebook ! THANK YOU! Following on Facebook and BlogLovin. that is stunning! love the color, its one of my favorites. I follow PPF on fb, twitter and bloglovin! I also follow Koret Handbags on Twitter. I follow both on Facebook. LOVE the color! Love the clutch! Follow both PFF and Koret on FB. I'm following PPF on twitter from @wannastayme and have liked your PPF facebook page as Ann Hbez. I have also liked Koret Handbags on facebook and am following them on twitter. Love this bag! My roommate has asked for an envelope bag for her birthday and this one looks perfect! I'm following you via bloglovin, them on twitter (@aprettynest) and that purse is absolutely amazing so finger crossed !!! Following both on Twitter, great giveaway! follow you on FB and Koret on Twitter. Thanks for the chance to win! Thank u for this giveaway! So far loving Bamboozled! Whatta name. Follow PPF on Bloglovin and liked Koret Handbags on Facebook. Email is ljacobi at nd dot edu. I follow both on Twitter (@Meliora84). Email is nicole.stettler at gmail dot com. Love the bag! Gorgeous bags! Hope I win! ive done all the requirements! following on each! thanks! I follow on FB, twitter and BlogLovin! Following on bloglovin and facebook! Such a cute fall clutch! I'm in love with their Snap It Up Classics and the colorblock bags! What a fantastic giveaway! Thank you PPF and Koret Handbags for this awesome giveaway. These purses are so cute. Cute, and I don't normally go for green! OOO I love this bag!! Thanks for such a great giveaway!! I love it! I can use it for both purposes. These a cute and simple handbags! love! I follow you on Bloglovin. Thanks for the giveaway! I love that handbag! I follow via bloglovin & facebook. Thanks!! OMG! I love that clutch 🙂 The color and material are just spectacular. I'm following you on BlogLovin and follow Koret Handbags on Twitter. I follow you and Koret handbags on twitter. Would love to win, love the bag. Following PPF on bloglovin and Koret handbags on Twitter! I love your blog! I follow you on Twitter and now I'm following Koret as well. Thanks for the giveaway! Love this bag and your blog! Gorgeous clutch, love it! I followed both on FB. I would love this for fall!